Celebrating 10 years of great board gaming! 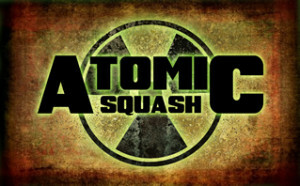 Atomic Squash is dedicating to spreading and supporting the board gaming hobby throughout the community. We do this by sponsoring many public events through the year. Always open to everyone and newbie friendly we primarily play an assortment of European and Ameritrash-style board games. We have also been known to dabble in card / dice games, miniatures games, and expandable card games. We enjoy playing many of the older favorites, though because of the fast pace of the industry, we also play many of the newly released games. It is a great mix of the classics joined with all the fresh ideas coming out of the board game industry. Be sure to check out our Games Played to see the games we have been playing lately. Find us on Monday Nights or join us at an one of our supported conventions.